The thing is, I am in heaven right now. Well, I am not in heaven yet, but at the gates about to cross over. Looking in, I see records. Thousands upon thousands of records. In crates stacked on top of each other, six deep, ceiling high; crammed into racks stretching into the distance. Ten thousand spines face me. This is just the beginning too. 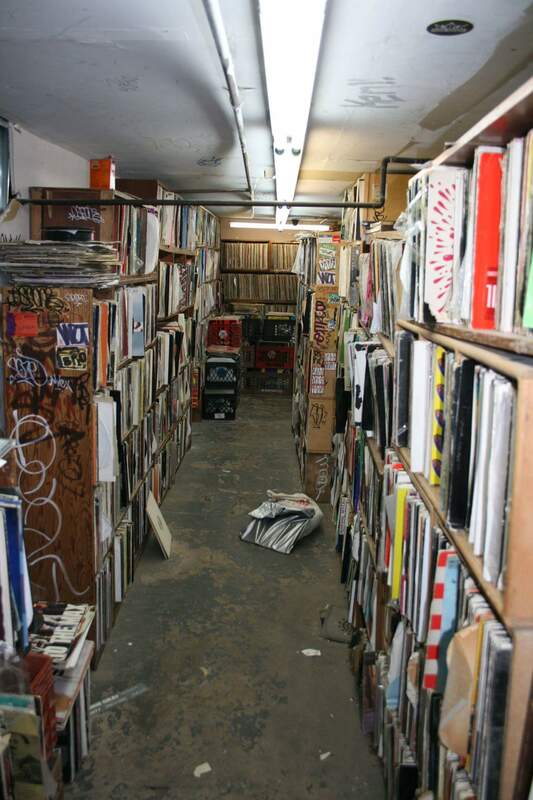 I know that beneath my feet, in a Brooklyn basement, there are corridors containing even more records. In my heaven, there are a hundred thousand records. Probably more – enough to last an eternity. Some people imagine money, Scrooge McDucking in bottomless pools of golden coin; others find themselves in beds without edges, with partners with all the right edges, writhing without boundaries, infinitely; others sit cross-legged (minus the hip pain) with Gandhi and Lennon in comfy clouds of conversational bliss. Me, I’d take this. The first seconds in countless hours of exploration – on the verge of a vinyl Valhalla: the thrill of the hunt, the ecstasy of discovery. Yet something holds me back, keeps me tethered to this mortal coil. It is a conversation. It is taking place five metres from me between a middle aged black woman and a man in his early twenties, collegiate, lightly whiskered, who fingers the spine of a novel in a bookcase. 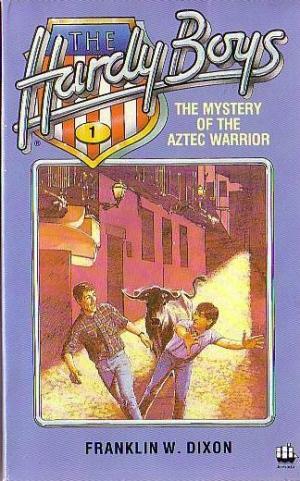 I read the Hardy Boys too. I wanted to shout out but knew they probably wouldn’t catch my words being as close to heaven as I was. 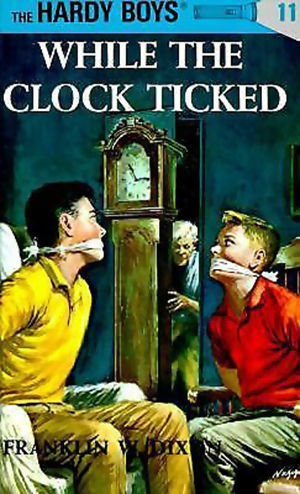 I used to read Hardy Boys every night until I couldn’t keep my eyes open; always desperate to take one more devastating blow to the solar plexus, one more twist in the tale before dawn. 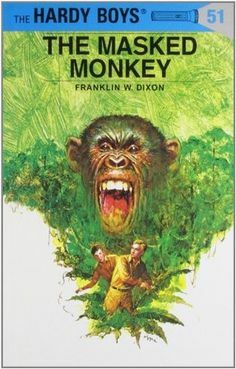 The local library was full of well-thumbed yellowing copies of the Hardy Boys’ adventures, their covers framed in plastic cases – the boys in mid-fracas, punched but not felled, in perilous danger but not defeated, discovering a secret but yet to tell it. Each copy bore the mark of my fingerprints, the grease of adrenalin, the stale notes of my longing for adventure. In my bedroom, in pride of place, I had my own copies of the Hardy Boys novels laid out. The dog-eared, the pristine, the compendiums – four novels in one giant tome, printed on gossamer thin paper and stretching my child hands as I read – they were all there. These were the books my mum had bought me: from charity shops and jumble sales, from near and from far, for me. I realised then that we were all a mother’s son; a son that loved the Hardy Boys. In Greenpoint, Brooklyn, right now, this woman was looking for her son. Over two decades earlier, in Swindon, Wiltshire, my mum was doing the same for me. Somewhere somewhen the young collegiate man’s mother asked the same question of another stranger in another store. Across the Atlantic, across time, they were all looking for their sons. This is what it all came down to – it is how we love and why we live. Heaven would have to wait, I had some earthly business to take care of.